The chat is also available for download on the App store and on Google Play so you can chat with us on your mobile devices too! 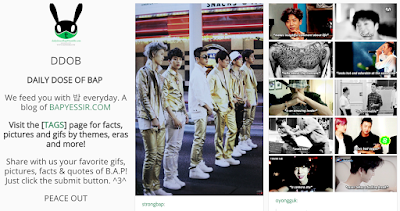 BYS organize fanmeetings (chat) for special events, broadcasts or releases. BYS fanmeetings is an amazing opportunity to meet other B.A.P's fans from all over the world while celebrating a member's birthday, waiting for a new MV or watching a live performance. The time of each fanmeeting will be announced through Facebook, Twitter or Tumblr, at least 48 hours before it starts, and we will post many reminders too. We encourage fans to invite their other Kpop friends in the fanmeetings so they can learn more about B.A.P and hopefully start to like them more/listen more to their music! FOLLOW BYS BLOG FOR YOUR DAILY DOSE OF B.A.P! 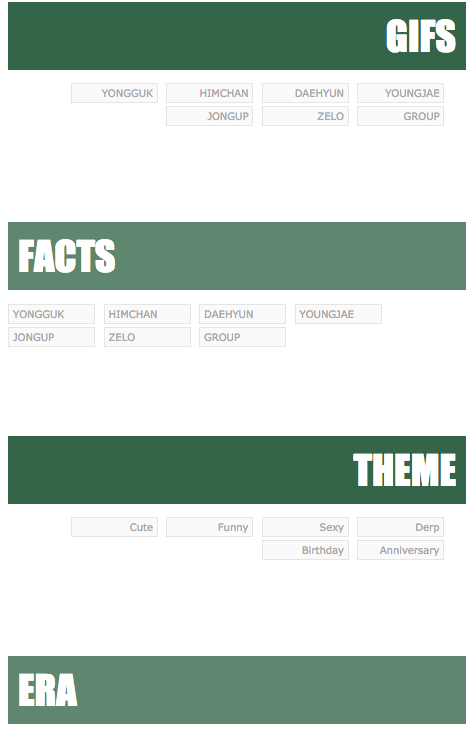 Few months after the site’s opening, we’ve decided to create a place where BABYz can find many pictures, gifs, graphics, macros, facts and imagines about the boys. A place where they can spazz, cry and laugh because of the boys. Submissions (pictures, gifs, macros, etc.) and Requests (imagine, spams, etc.) are welcome! You can also submit your artworks (graphics, covers, etc.) on DDOB, and we’ll be glad to share it with everyone! I'm not sure where to post my suggestion, so I'll put it here. I was watching a youtube video (Eat your kimchi) about the kdrama and kpop industry. They mentioned the long hours and working conditions and the entertainment industry encouraging them with "fighting" messages to push through. As a BABY, I would like a new positive hashtag to catch on and be used by fans across the nations. As a fan, I want good music and shows, but it is most important that the artists are healthy because there is only of them and the world would not be the same without them in it. We should use something like #단 하나의 당신 or #only1U at the end of our messages to our favorite artists reminding them that we fans love and want them to take care of themselves above being an entertainer. Im not sure where or who i should ask, but does anyone know when b.a.p will arrive in atlanta in april? And can i meet them at the airport? I'd love to see BYS in my city. This meeting would be unforgettable. Their work really fascinates and delights. I cannot wait for the new performances. This is Charles from GOtixs, an online ticketing platform offering guaranteed savings to consumers from attractions, concerts, sporting events to conferences. GOtixs is also a portfolio startup under SPH Plug and Play since April 2016. I am the digital marketing strategist of GOtixs and the purpose of this email is seek your interest in allowing us to market B.A.P tour tickets and GOtixs on your fan site. 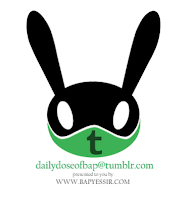 We understand that bapyessir commands a large online community of B.A.P fans and we are very interested to collaborate with you to offer the best deals of B.A.P tour tickets to the loyal fan base. We have recently secured B.A.P tour 2016 tickets that is happening on 27th June 2016 on our site and we are hoping to publicise this on your fan site. We certainly hope to reach out to the most loyal of B.A.P fans and we are confident that your fan site would be capable of doing so. Our site allows consumers to name their own price thus catering to various spending powers of the fans. Feel free to take a look at our site: www.GOtixs.com and drop me an email if your require any further details. I hope this would be a good start to an amiable collaboration and I look forward to your favourable reply! Name Your Own Price and Save Big On Every Tix! I love your logo very much, it is so simple and primitive, but powerful and impressive at the same time. Your website looks superb. If your Yobit 2fa is not working and now you are constantly exploring the working idea to get the issues fixed then you don’t need to think anymore in calling our professed Yobit toll free number. Taking such initiatives will enable you to get in touch with concerned professionals who have been known to serve their best to the customers. Thus go ahead to find the solution immediately.